What Does the Future Hold for Paper Money? The concept of money has existed in many forms over the course of human history. We use it today for a number of different purposes, among which are the most basic essentials such as food and shelter and this is precisely the reason why it has great value for us. Naturally, as time and technology advances, the forms of money also change. People are starting to rely more and more on the electronic form specifically, which is, to be honest, quite complex. Fortunately for those who prefer using paper money, you do not have to worry – it will stay in use for a long time. Keep reading to learn more about what the future holds for money. It is a great possibility that paper money will not disappear- at least not in the near future. Although electronic transactions have become quite common lately, not all people prefer to make payments that way. They prefer having a real banknote in their hands, either for making payments or for safekeeping as part of their collection. Numismatists, in particular, are not likely to give up on that hobby anytime soon since many of them have spent years building their collections to an enviable level. Paper money has changed quite a lot over the last few decades. Not only have the colours and personalities featured on them varied, but one of the most significant changes have also been the security features. Of course, each country is doing its best to create and put into circulation a secure banknote that features all of the country’s core values. As a result, we can see many different cultural, historical and geographical features on every banknote. At the same time, what they all have in common are their security features. Examples of these include watermarks, raised printing, colour-shifting ink, etc. The trouble is that, as technology advances, it also becomes easier for counterfeiters to create perfect copies of them. That is precisely why the experts are constantly trying to find new ways to protect paper money from being counterfeited. Why Do People Collect Paper Money? Being a numismatist has many rewarding advantages. For example, you have a valuable collection and probably many unique pieces. You also have a chance to learn a lot about each and every banknote you own. You are able to find out what the living conditions in the past were like, as well as what plenty about the interests of people at the time. In this way, you can keep the past alive and honour the skill, craftsmanship and artistic contributions of those who lived many years before us. 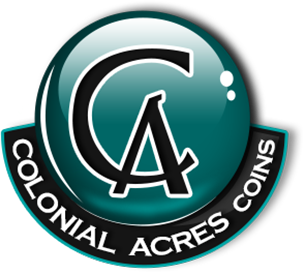 If you are interested in becoming a numismatist – or if you already are one – Colonial Acres Coins can be of great help to you. There you can find a vast variety of paper money that can enrich your valuable collection. In case you are worried about whether paper money will continue being in use or not, you can be sure that it will not be replaced by its virtual counterpart, at least not any time soon. Although technology has greatly advanced, it is not reason enough for real money to stop existing. We are all quite familiar with the feeling of having a physical banknote in our hand – they have a unique feel given to them by special printing technology. These notes offer colour, beauty and artistic excellence all at the same time, and these are just some of the reasons why collecting them has been an exciting pastime for many decades. Also, paper money has both numismatic and historical significance – by slowly building your very own collection, you are able to learn many things about how people’s way of life was in the past. That is something that is and will continue to be a priceless fact.